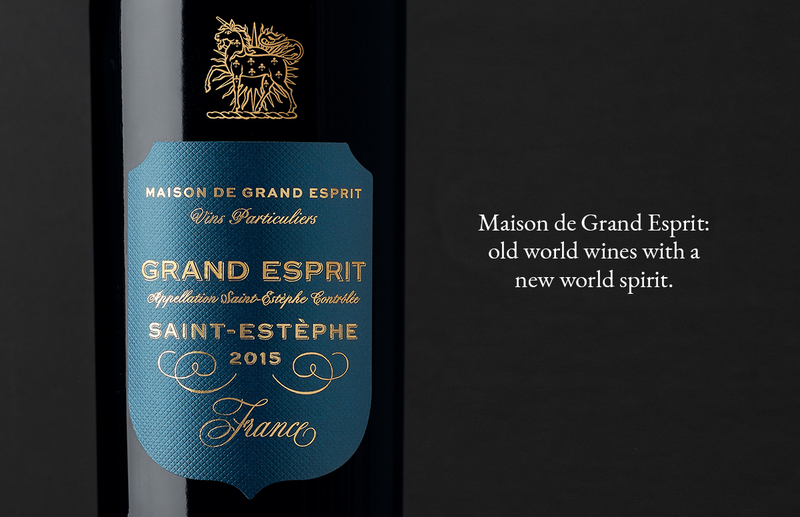 Maison de Grand Esprit: old world wines with a new world spirit. Our client wanted to launch a new French brand that would be disruptive within the French category aimed at the Asian luxury consumer. 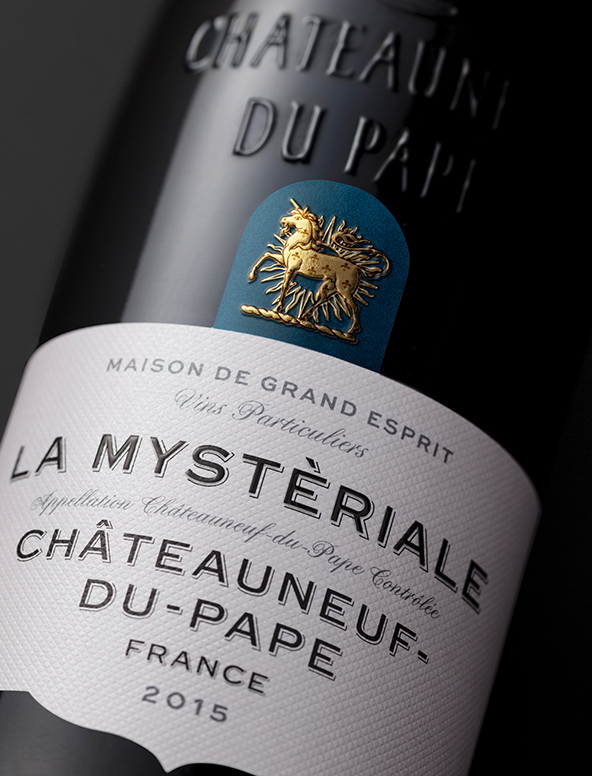 Classic French labels are predominantly monochromatic: white or cream labels and an abundance of red capsules. 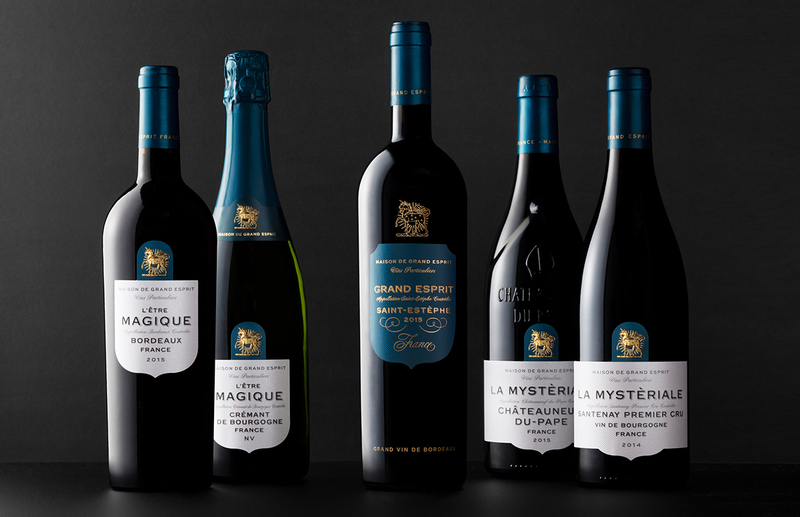 This uniformity means many French labels have no recognisable feature for consumers to remember so part of our brief was to develop a distinctive icon and brand colour. 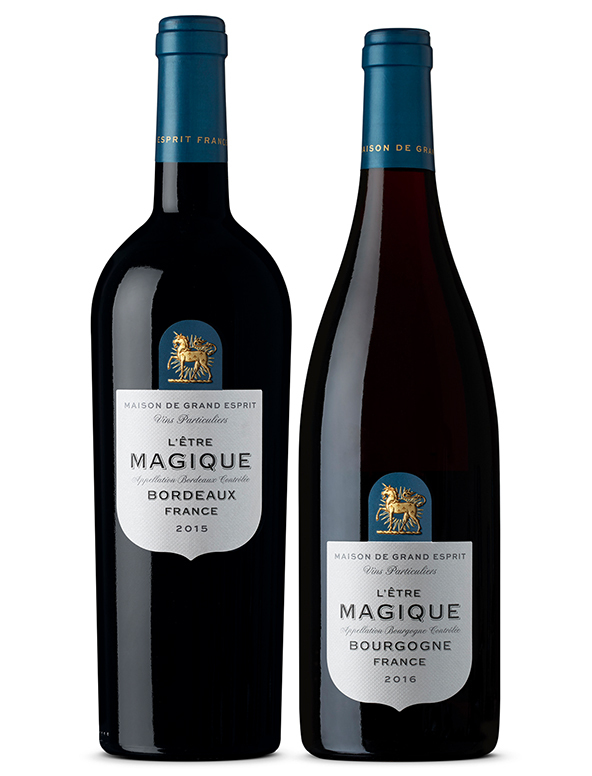 The unicorn is prevalent in French mythology and is featured in the famous tapestries The Lady and the Unicorn, one of France’s national treasures. It also has its counterpart in China, the Qilin, a symbol of luck, prosperity and success. 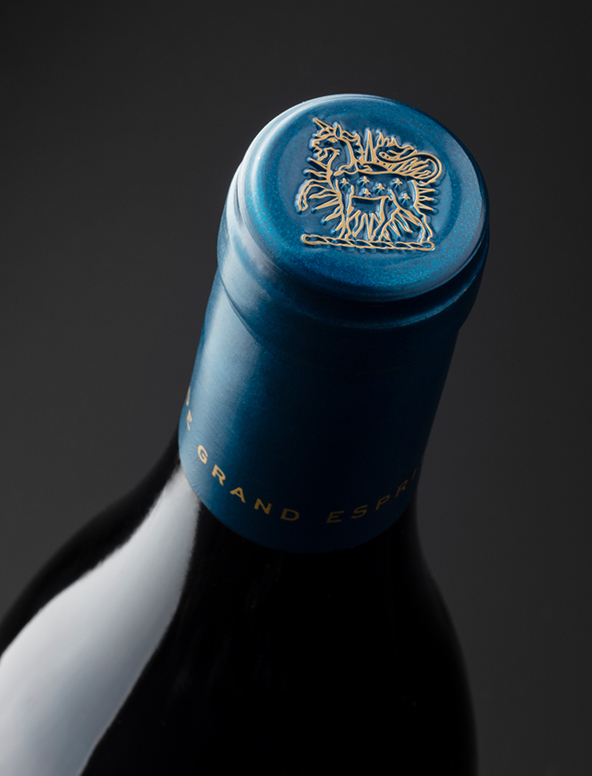 We chose a deep metallic peacock blue for the brand which, combined with gold foiling and embossing detail, created a highly distinctive yet super-premium badge for the brand. 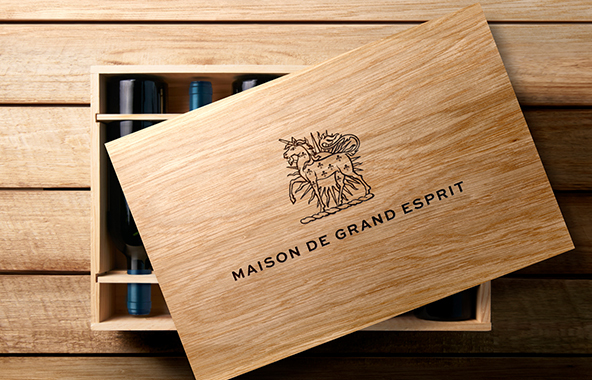 The brand’s French roots are reflected through the typography, classic label shapes and traditional timber boxes.